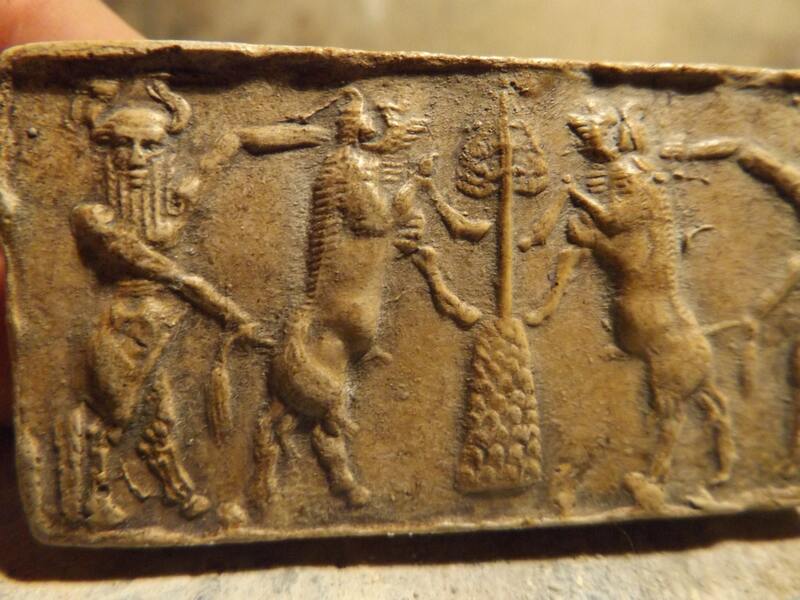 On offer here is a detailed replica impression of a cylinder seal from the ancient Akkadian period. 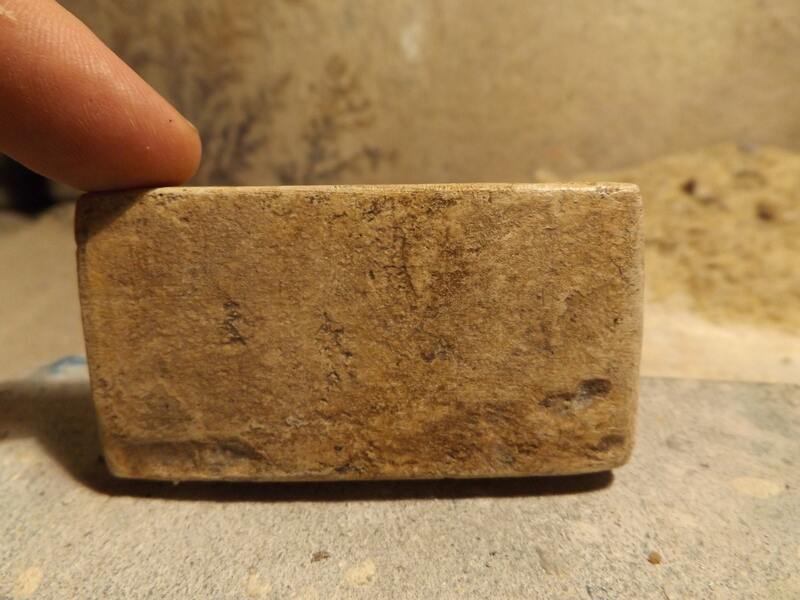 Made of a limestone and quartzite composition stone it has an aged ochre patina which has been given a light polish. 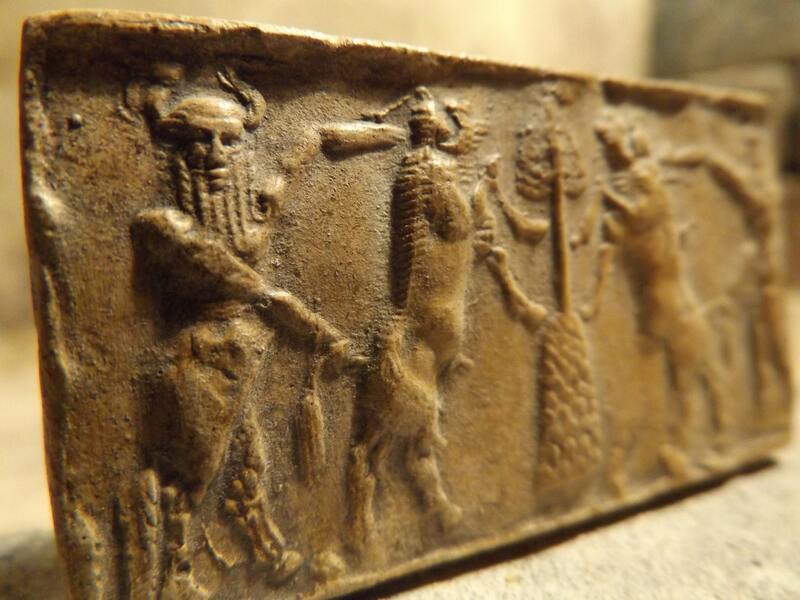 The bull man on the left is a character often noted to be Enkidu, the companion of Gilgamesh. 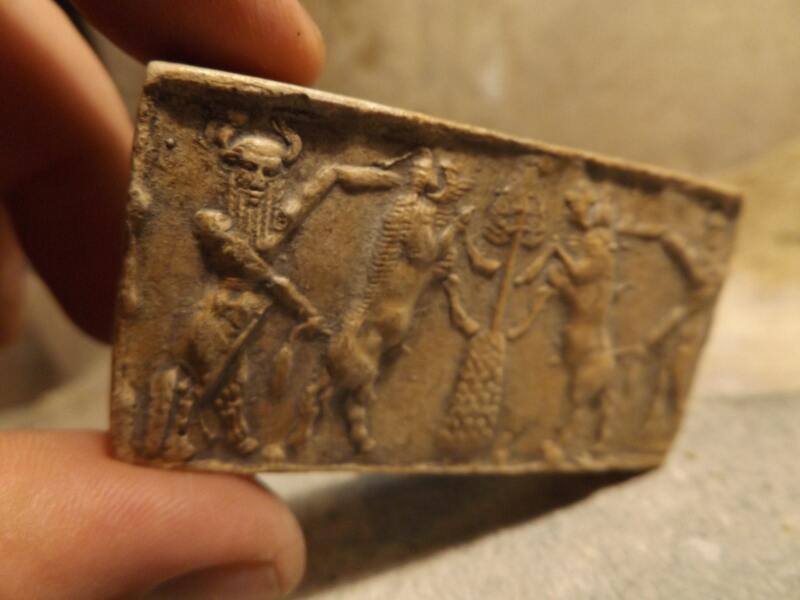 Gilgamesh the Sumerian warrior-king can be seen on the right. 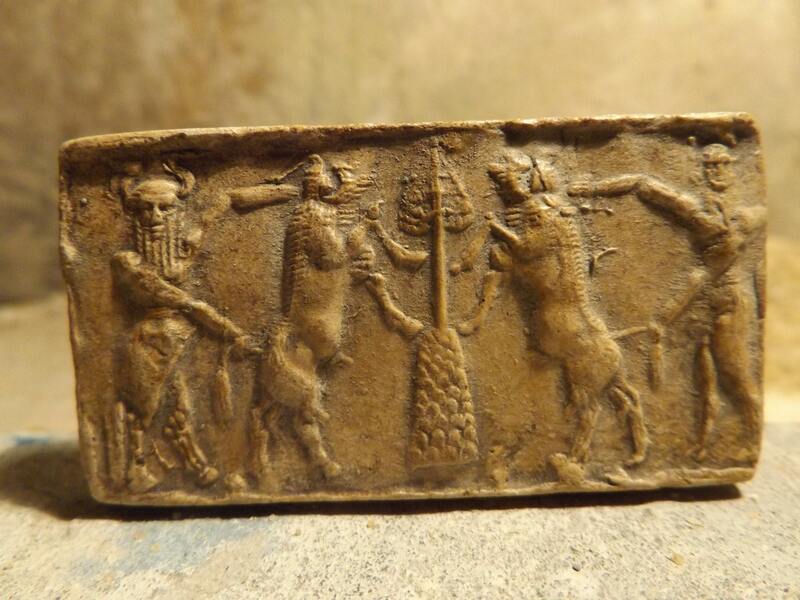 Enkidu was a man who was raised by animals, and not usually shown as a bull/man but it is likely that Sumerian artistic convention could to sometimes show a level of flexibility to portray him as such.